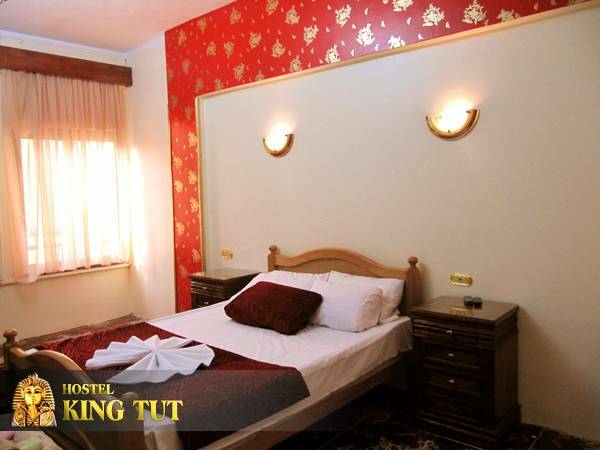 This very economical Cairo accommodation is right in the heart of the city and within walking distance of many major attractions. 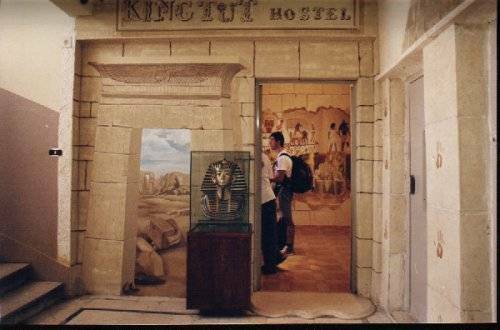 It is a block away from the Egyptian Museum and the Nile River, close to public transportation, and is located in a very safe area for young travelers. 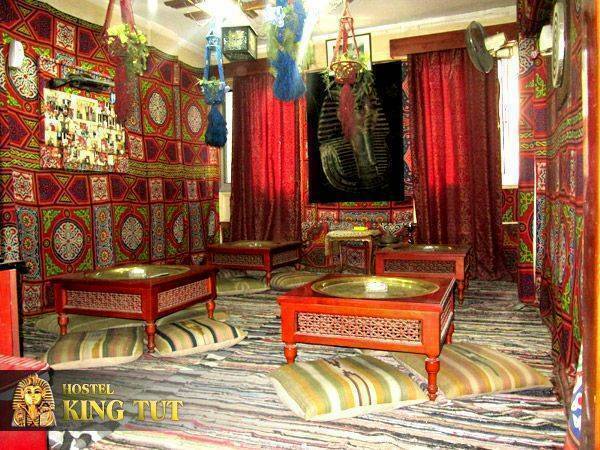 The King Tut Hostel Cairo provides a free airport shuttle for all guests booking at least a four night stay. Please arrange this shuttle at time of booking. 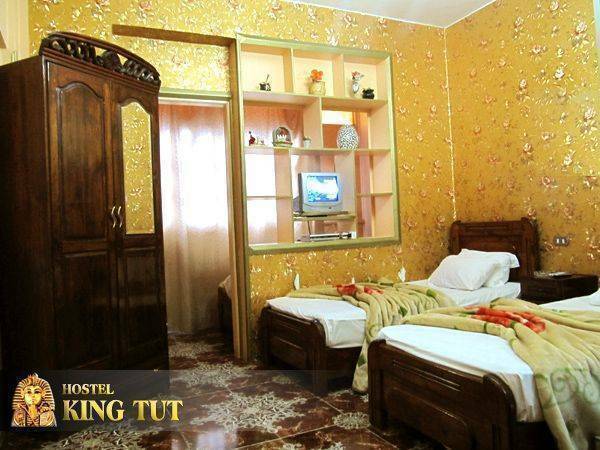 Guestrooms at the King Tut Hostel Cairo are simply furnished, but private and comfortable. Each one has hot water, and bathrooms are shared. Room sizes start with single rooms and go up to four beds per room. 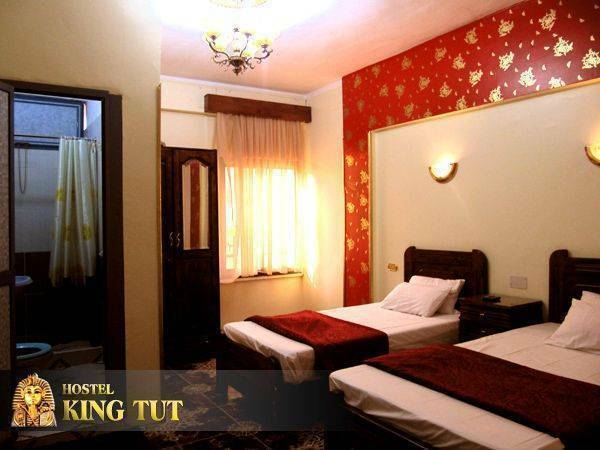 The King Tut Hostel Cairo offers very comfortable and clean rooms for its guests, including a well lit and nicely decorated lounge for the guests which includes a flat screen TV and free Internet access. Breakfast is available every morning. The multilingual staff will help with any type of sightseeing reservations and travel plans. 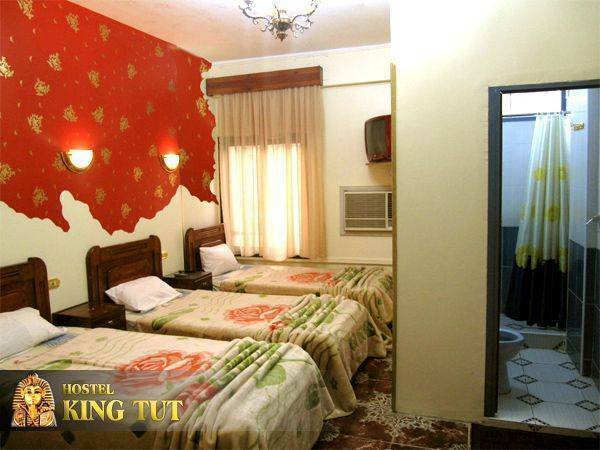 King tut Hostel is situated in the heart of the downtown area. There are several authentic Egyptian markets that are open past midnight.